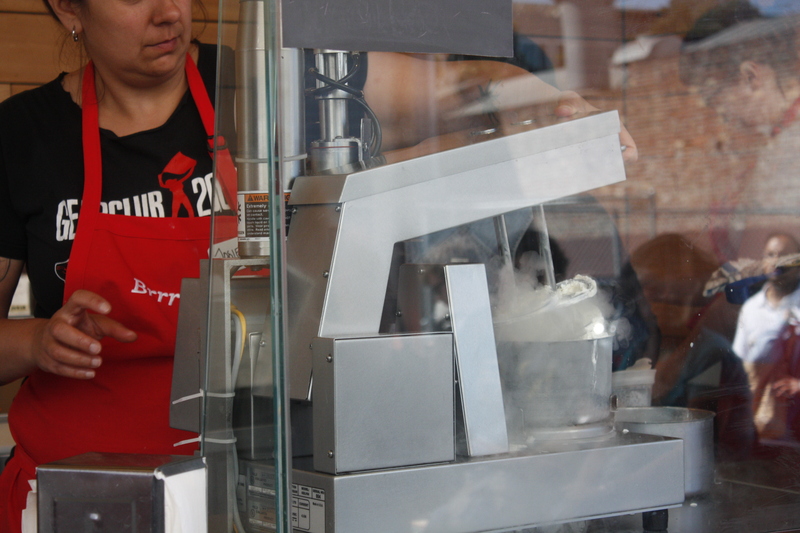 Smitten Ice Cream had a 45 minute line (comparable to Bi-Rite’s weekend lines) and serves super smooth ice cream due to the fancy schmancy technology using liquid nitrogen. Some of the flavors are on consistant rotation, but others are seasonal. We wanted to try the vanilla, salted caramel and TCHO 60.5% dark chocolate. 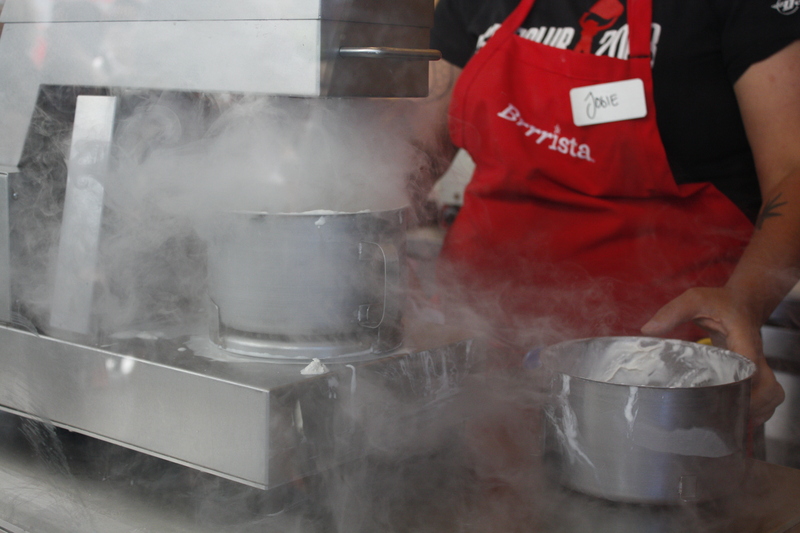 Customers can pair fresh made ice cream with homemade brittle, TCHO crispies and even malt syrup. 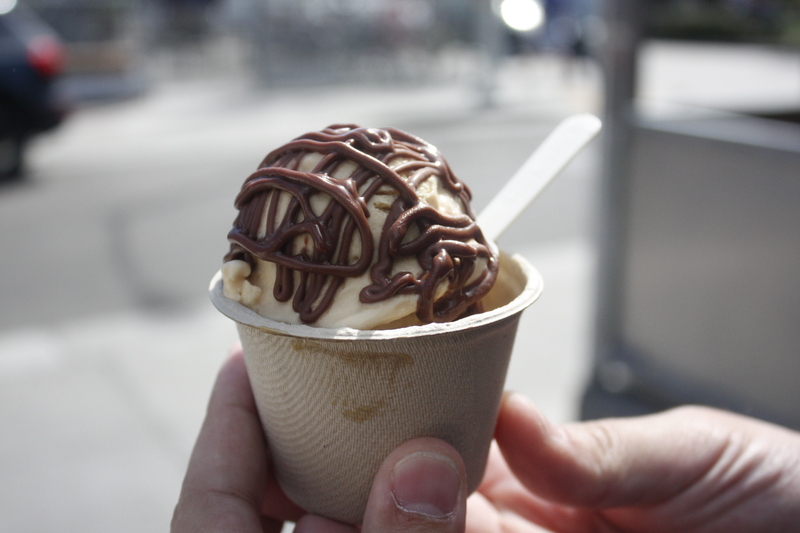 We had the salted caramel with a chocolate drizzle. The ice cream was airy and so smooth. Looking forward to our next visit to Smitten. Hopefully on an afternoon less busy, as we waited 45 minutes just to get to to the front of the line!